International food aid has long been known to be motivated by domestic and foreign policy objectives as well as humanitarian concerns. The policy objectives sometimes complicate delivery of emergency food, and lead to situations that result in adverse effects on the economic and agricultural systems of recipient countries. Despite the long history and extensive documentation of such effects, they were observed to occur once again during the 1992 Somalia intervention. This intervention encountered many frequently described barriers to effective use of emergency food aid. It also set a new precedent; for the first time, troops were deployed to enforce the safe delivery of food. This action led to the creation of an army of occupation engaged in military conflict with the very people it had come to serve and, eventually, to further deterioration of the country's food economy. 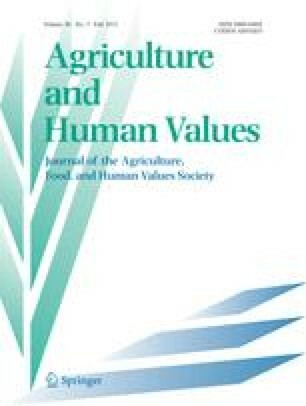 The Somalia intervention provided further evidence for the need to uncouple humanitarian food aid from other policy objectives, and to design and manage emergency and long-term food aid programs to maximize benefits, minimize adverse consequences, and strengthen local agricultural production and marketing systems. The authors are faculty members of the Department of Nutrition, Food and Hotel Management at New York University, where Marion Nestle is Professor and Chair, Sharron Dalton is Associate Professor, and they teach courses in Food Policy and International Nutrition, respectively.